Author: Quirarte, Jacinto Set In . . . Built to bring Christianity and European civilization to the northern frontier of New Spain in the seventeenth and eighteenth centuries...secularized and left to decay in the nineteenth century...and restored in the twentieth century, the Spanish missions still standing in Texas are really only shadows of their original selves. The mission churches, once beautifully adorned with carvings and sculptures on their façades and furnished inside with elaborate altarpieces and paintings, today only hint at their colonial-era glory through the vestiges of art and architectural decoration that remain. To paint a more complete portrait of the missions as they once were, Jacinto Quirarte here draws on decades of on-site and archival research to offer the most comprehensive reconstruction and description of the original art and architecture of the six remaining Texas missions—San Antonio de Valero (the Alamo), San José y San Miguel de Aguayo, Nuestra Señora de la Purísima Concepción, San Juan Capistrano, and San Francisco de la Espada in San Antonio and Nuestra Señora del Espíritu Santo in Goliad. Using church records and other historical accounts, as well as old photographs, drawings, and paintings, Quirarte describes the mission churches and related buildings, their decorated surfaces, and the (now missing) altarpieces, whose iconography he extensively analyzes. 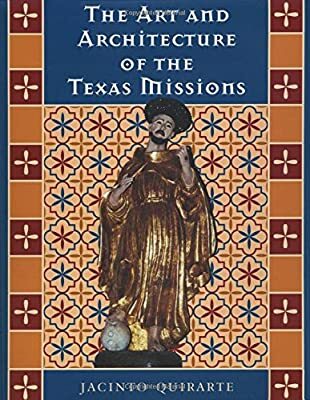 He sets his material within the context of the mission era in Texas and the Southwest, so that the book also serves as a general introduction to the Spanish missionary program and to Indian life in Texas.